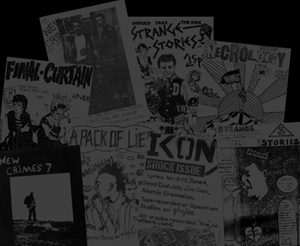  Strange Stories (x20 Issues) Strange Stories was the key fanzine that chronicled the Southend area Punk scene in the '70's. Established by Richard and Dave Tulloch for the first three issues, then ran by Simon and Richard for the remainder, it had a host of contributors writing for it, as well as many photographers.  New Crimes (x7 Issues) New Crimes started life in 1980 and was put together by Graham Burnett (aka Jah Ovjam) and was printed by the infamous 'Pritty Toons Press'. The 'zine became very successful, and was instrumental in organising various gigs, the running of a cassette label and generally nurturing the local scene in its 1980 - 1983 lifespan. 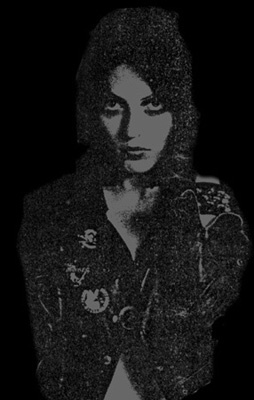 - (Early Attempts) As the punk rock scene's influence stretched ever onwards, various people felt empowered and encouraged to create their own DIY efforts, often in very short print runs and Issue Numbers. The aforementioned 'Pritty Toons Press' published a couple of them ('Confidential Waste' and 'Necrology').